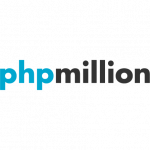 phpmillion had the most liked content! OP, if I understand right, if credentials are submitted to website from other place (let's say you manually submit them via browser), it won't work in your situation? Yes, it's on website, as per original OP's message - the script takes info from the database and sends it to a website It's the main reason I suggested him curl. In short, you can (and should) use PHP templating system. Since you are new to PHP, it might look difficult first, but once you see some examples and try to create your own code, you will see it's not that difficult... Plus, such a method will enable you to maintain your code easier and faster (which is very important if you decide to create more advanced scripts in future). There are many PHP templating systems around, but I think Twig is one of the easiest systems to learn. Other developers might have a different opinion on this, so take your time to review different templating systems and choose the one you like most. You can easily do this using curl, it will work on all platforms where PHP is installed. What is nothing here? You don't see any output? You see incorrect output? You get any error? Page is empty and has nothing on it? Execute another page from within function? Just make a curl request to it. Which version of xpath do you use? Such a comparison ( >a ) was only added in v2.0. I guess it also applies to your 2nd attempt ( @lastUpdate > '2018-03-07' ) because it's actually a string comparison too. You may also want to do the same checks (extension, mime type) before outputting content of files stored on server. It will add a bit extra of security in case files that were validated previously (and stored on your server now) were somehow modified/replaced by 3rd parties later. You are doing it almost right, and the only issue is the mixed order of arguments in your code. I'm sure you will solve it in 5 seconds after taking a quick look at the documentation. They use mod_rewrite. I see requinix explained it with more details and posted his explanation a second before my post, so you should really be able to get it done now. This forum is surely for getting help and helping others, but I believe it should be a common sense to ask a question clearly at least. In this case, the question was very general, which can be solved by searching PayPal forums or PayPal knowledgebase, and it was not related to coding itself. I hope you were able to find a link to PayPal forums where this question is answered for you. Hint - the topic in PayPal forums is marked as "solved". Took me 5 seconds to enter your question into search engine, 1 more second to click a link (which leads to PayPal forums) and several more seconds to find the answer.